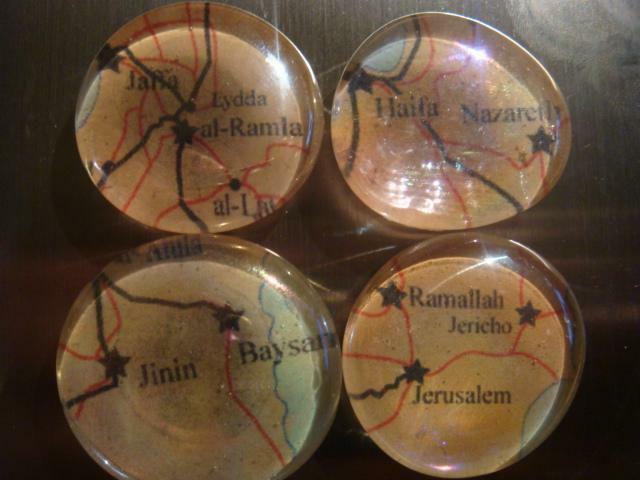 These gorgeous magnets are perfect for the fridge, cubicles, lockers or make great gifts. 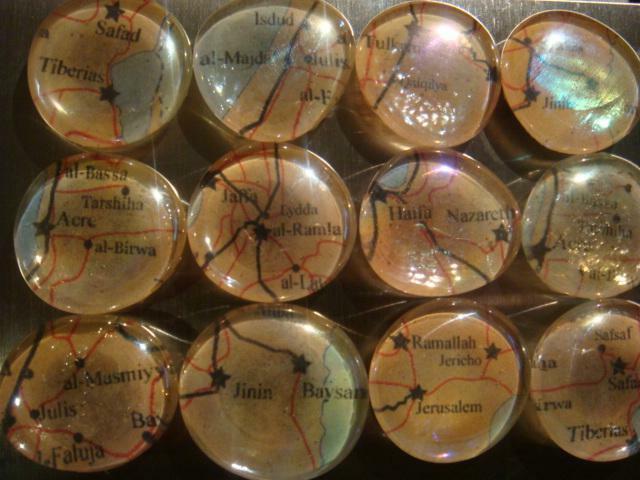 They are done in various cities of Palestine, many of which have been destroyed and ethnically cleansed. Images of the cities are taken from a map that dates from 1948. These are large, approximately 1.5" wide. 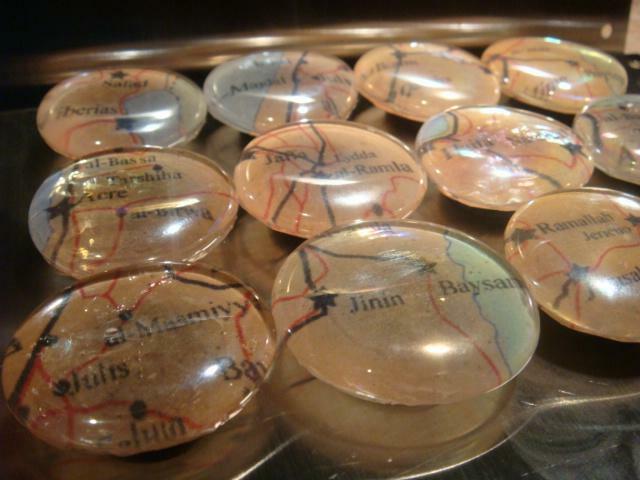 They are backed with a strong 3/4" ceramic magnet and held tight with a strong, clear adhesive. Because they are made with hand-blown glass, natural flaws and bubbles in the glass can occur, which can also lead to irregular forms so there is some variation in size and shape. 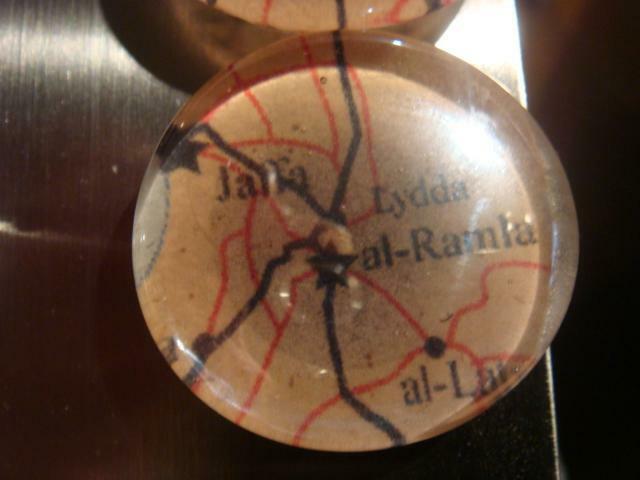 Jaffa, Jenin, Haifa, Lydd, al-Ramla, Al-Faluja, Al-Majdal, Safad, Acre, Al-Bassa, Jerusalem and Ramallah.